The ARR team is pleased to announce the first complete draft book of the 4th edition of Australian Rainfall and Runoff is released for industry comment. Book 3 covers both regional and at site flood frequency estimation techniques. The at site flood frequency chapter is a significant change from the version previously available (Kuczera and Franks, 2006) and supersedes this version. Please note that this is a draft and as such some of the figures, examples and formatting have not been finalised. The report will be available for industry comment until the end of April. Software for the regional flood frequency estimation method is in the final stages of testing and will be released soon. FLIKE will be also be commercially available for a small price from TUFLOW in the near future. 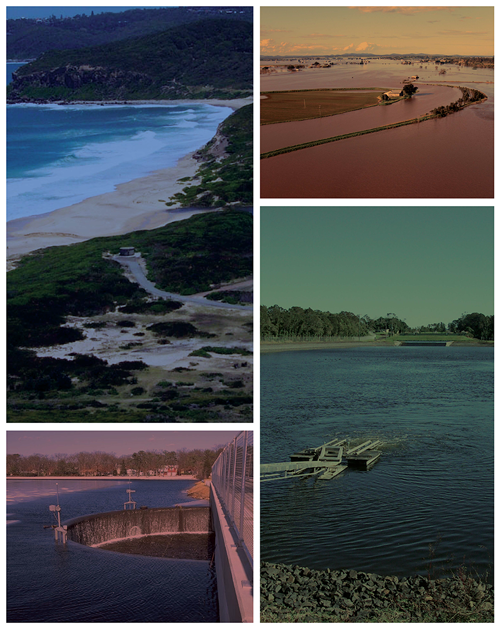 In conjunction with the release of Book 3 Chapter 3 Regional Flood Frequency Estimation the Project 5 regional flood methods stage 3 report and data report by the University of Western Sydney team (lead by Dr Ataur Rahman) are being released. This report provides more detail on the method and supplements the chapter. Stage 3 is the final stage of the project which began in 2008. Thank you to all the project team, state teams and government organisations that provided data for this nationally significant project. This project is a significant advance on the techniques in ARR 1987. To accompany the release of Book 3 chapter 3 Regional Flood Frequency Estimation we are also releasing a short background video on the development and implementation of the method. The video is available on the ARR youtube station. The ARR welcomes comment from industry on all the books and chapters as they are released. In order to capture all the comments we have developed a dedicated comment section on the ARR website. Please link your comment to a specific book, chapter and version to assist with addressing comments. The 36th Hydrology and Water Resources Symposium will be held 7-10 December 2015 in Hobart, Tasmania. This event, hosted by Engineers Australia and its National Committee on Water Engineering, is Australia’s leading symposium devoted to hydrology and water resources. The industry launch of the revised edition of Australian Rainfall and Runoff will be held at the symposium. A session will be dedicated to ARR papers. Call for abstracts is now open and closes on the 27th of April.